This sweet little darlin’ was born August 1, 2010 at 7:14 am, weighing in 7 lbs and 3 oz and 19 in long. She did so well for her first photo session, and she even managed to rock a few accessories. 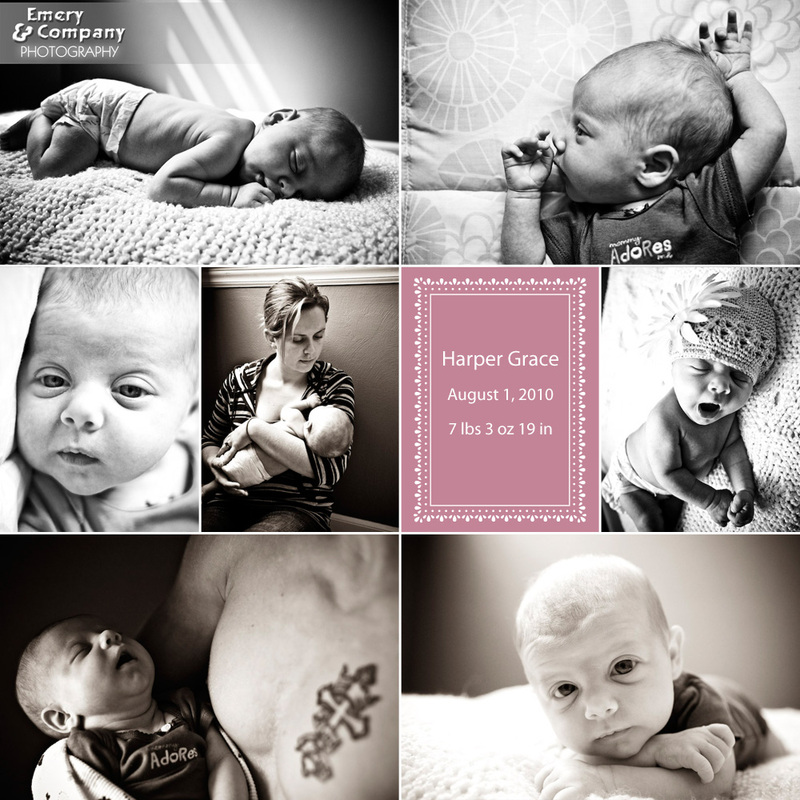 Harper is just such a wonderful bundle of goodness and sweetness that even her little cries had me cooing and awing. Congratulations, Courtney and Scott on your little girl!! I’m sure she brings plenty of joy to both of your lives.